Lots of "scare" posts and letters are being distributed against Barack Obama insinuating that he'd be much worse for Israel than John McCain. I wonder. My gut reaction is that they're all the same. American politicians never waver on their determination to only do what's best for America in their eyes. Both McCain and Obama have appointed a special Jewish advisor. 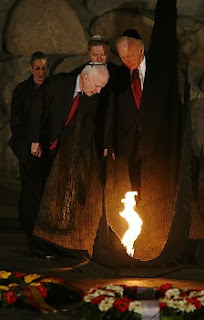 McCain has the veteran politician, Democrat-Independent Joe Lieberman, and Obama has United States diplomat and former US Ambassador to Israel, Daniel Kurtzer. 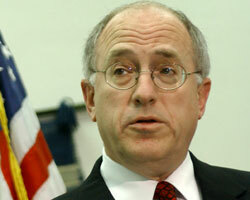 Kurtzer and Lieberman are both Torah observant Jews who consider themselves Americans first. I've been researching their positions and can only say that they really are just the same in terms of their Israel policy. The big difference between the two is more in terms of their careers. Daniel Kurtzer is a career diplomat and Joe Lieberman is a politician, even running as Democratic Vice Presidential candidate. Also, Lieberman seems more a "policy purist" and did something very unusual for an American politician. He changed party allegiance. 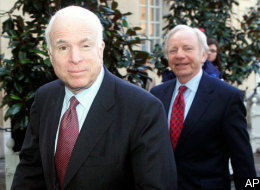 After decades in the Democratic Party, he became an Independent and now supports Republican McCain. None of this can predict the future. But one important thing must be remembered, never forgotten. American politicians never waver on their determination to only do what's best for America in their eyes. They don't go around asking opinions of other countries nor expect others to defend them. Israel and all Israelis must remember that.